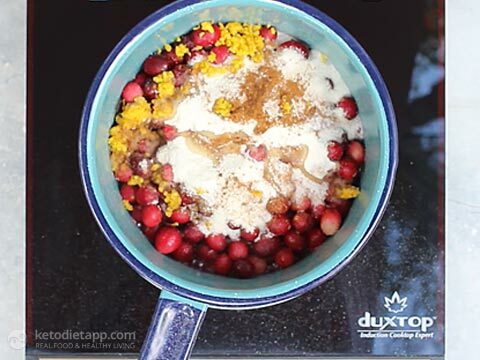 Looking for a keto-friendly Thanksgiving cranberry sauce recipe that is easy and flavorful? Look no further. 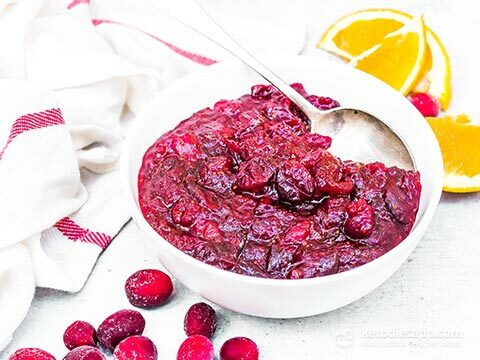 Cranberry sauce is one of my all-time favorite condiments even when it’s not holiday season! 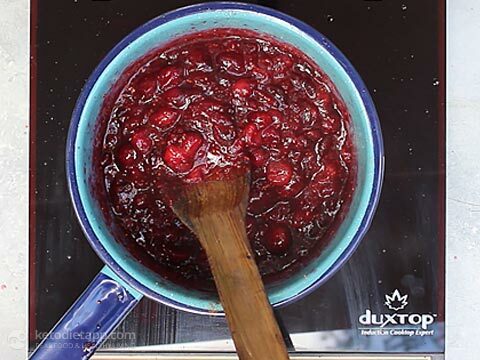 Typically though a serving of traditional cranberry sauce can contain upwards of 22 grams of sugar, that’s crazy. 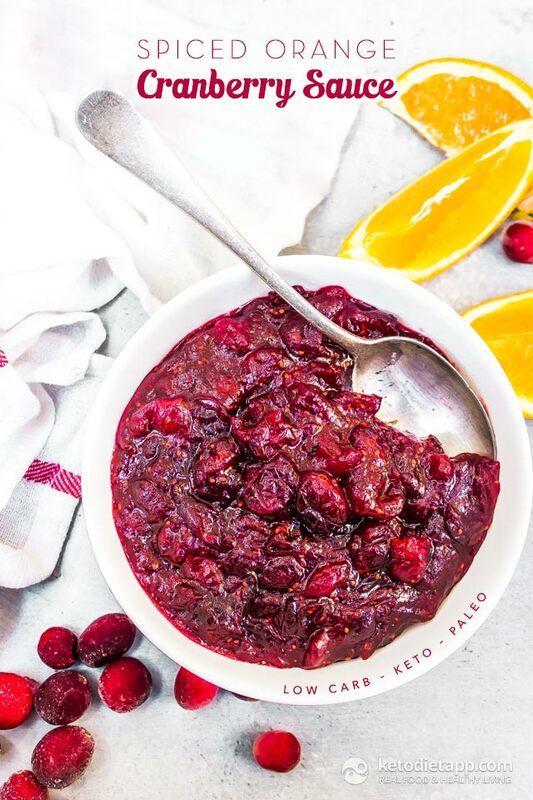 This keto cranberry sauce has a tiny fraction of that and is spiced with fresh oranges and spices like clove and cinnamon. 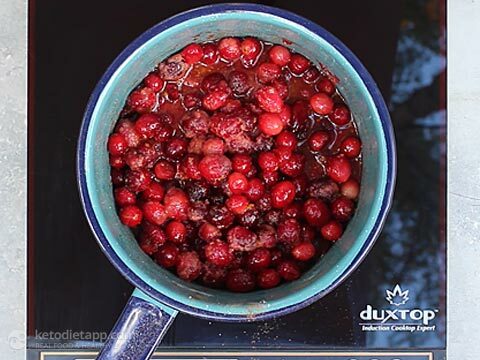 Serve this healthy low-carb cranberry sauce with your holiday meal and I guarantee no one will be able to tell the difference. It’s perfect on your holiday turkey but I even love it on taco bowls, trust me. A bit of cauliflower rice with grilled steak, squash, and kale this makes a perfect “harvest” style bowl you will love! 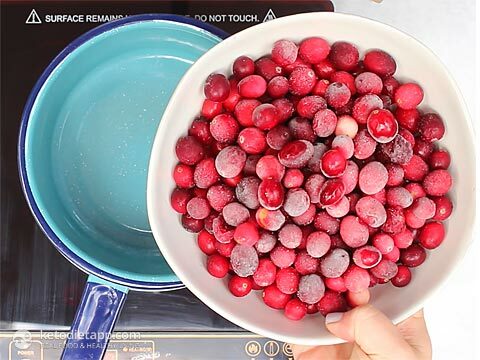 Place the cranberries in a medium pot and heat over a medium heat. Add the Swerve, cinnamon, salt, cloves, orange zest and orange juice. Cook for 7-10 minutes, stirring occasionally, until the cranberries are broken down and the sauce is thick. Transfer to a bowl and serve. 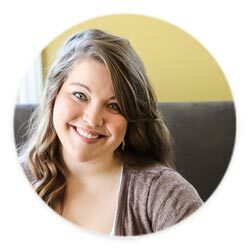 To store, place in a lidded container and store in the refrigerator for up to one week. This sauce also freezes really well, simply freeze in a freezer safe container and reheat on the stove top for 5-10 minutes. This is delicious. It’s tart, but in a good way. Fabulous recipe! I added chopped walnuts because my keto heart thought there should be some fat involved. My only regret is that I made it two days before Thanksgiving and I don’t know if there will be any left for dinner. I say make another batch!  I like the idea of adding chopped walnuts for healthy fats!